So as you guys know, our finals are just around the corner, and certainly towards the end of this semester, you will begin to stress over the assignments that are piling up as well as the study commitments that you have put off for far too long. You might get a little bit unorganised and anxious about the things you have to do in these couple weeks to go, but worry no more! We are here to help you get through the tough times as UNIBUDS will be holding its Meditation Workshop on 29th October 2016. So put those books away for a while, and come join us for a calming and relaxing meditation experience. For this upcoming workshop, we are going to learn about Vipassana Meditation (Insight Meditation). It is an interesting meditation technique as the aim of meditation itself is concerned with staying in the present moment as much as you can by observing body and mind. This will be a perfect opportunity for those who are keen to develop their interest in meditation or just simply want to learn how to meditate! Interested? Do come along and hope to see you there! Kindly RSVP so we can confirm the number of attendees and accommodate all. Thank you! Patricia Austin has been a Buddhist practitioner for 20 years. Her meditation training is in the Burmese Theravada tradition. Buddhism is integral to her daily life. Patricia is a clinical psychologist with a small private practice. She has previously worked in HIV/AIDS services, carried out research into the mental health of asylum seekers and for 19 years provided psychological therapy to the bereaved at Sacred Heart Palliative Care Service. Do you love to cook? 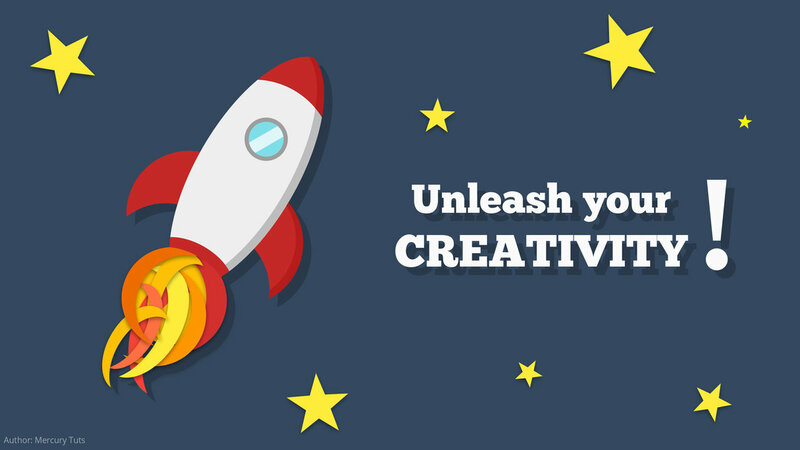 Are you one of those who are imaginative and innovative at mealtimes? Or would you like to learn how to cook? Here comes the opportunity to show off your cooking skills. Cook of the Year is an annual cooking competition where participants come together to challenge their cooking skills by incorporating Dhamma dishes. You will be in a team of 4-5 members and each team shall prepare around 3-4 dishes. 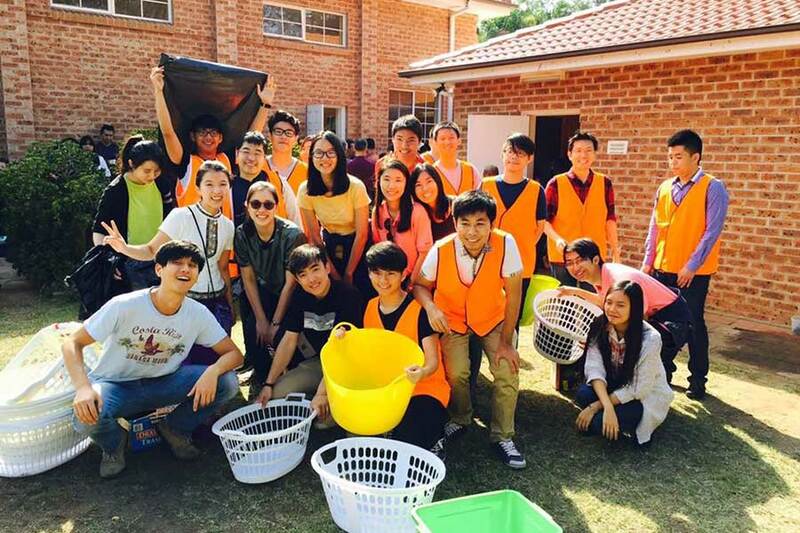 This is a good opportunity for you to meet new friends, have fun preparing the dishes and learning the Dhamma in an interesting way! Please take note that the dishes would have to be strictly vegetarian which means no egg, garlic, onion, leek, shallot, meat, gelatine and alcohol. For those who are interested but do not have a team, fear not, we will help assign you into a team. So if you are interested, please kindly RSVP by 18th October 2016. As you may already know, UNIBUDS is not just about learning the Dhamma, but also about good food and bonding with fellow friends. Night Noodle Markets is back in Sydney again, and UNIBUDS is organising a trip down to Hyde Park for a food hunt! With more than 40 stalls to choose from, you will find yourself salivating and indecisive over what to try or eat. So come join the UNIBUDS family in the food hunt. Oh time...., it is unbelievable that now is the time to bid goodbye to our 36th Executive Committee. Thank you for all your hard work for filling the year with joyful memories and personal spiritual growth. 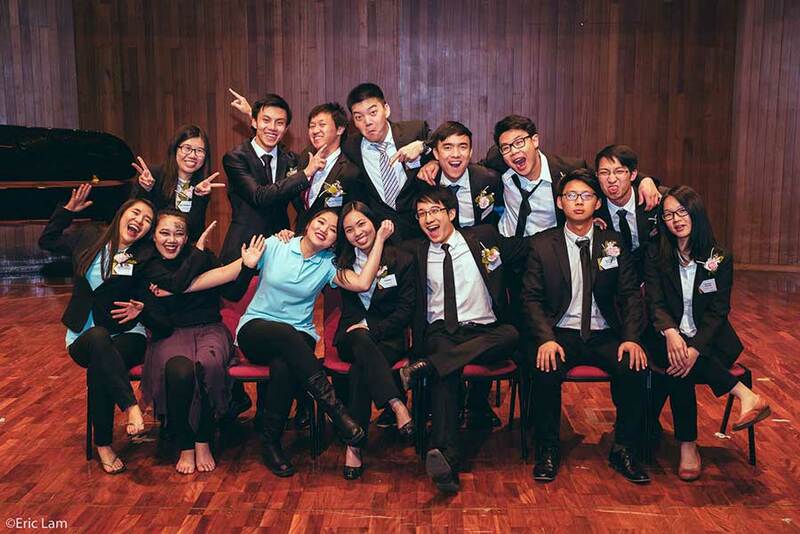 Time passed in a blink of an eye and it�s now the time to pass the torch to the next enthusiastic new faces. The Annual General Meeting is upon us and we all know we should joined in the ELECTION!! We hereby invite you to this meaningful event and show your support to UNIBUDS. You can run for a committee position and help steer UNIBUDS to greater heights or you can come and cheer on those who will be nominated. This is your chance to determine the future of UNIBUDS. So, do come and join us! For more information regarding each of Executive Committee portfolio, please download the portfolio details here. While the nomination form can be downloaded here. There will be a nomination box available outside UNIBUDS Library for you to submit your nomination(s) from 12pm – 5pm on weekdays. If you wish to run for a key position i.e. Top 5 positions of the Executive Committee, you must be an Ordinary member of UNIBUDS. Any queries, do not hesitate to contact us. 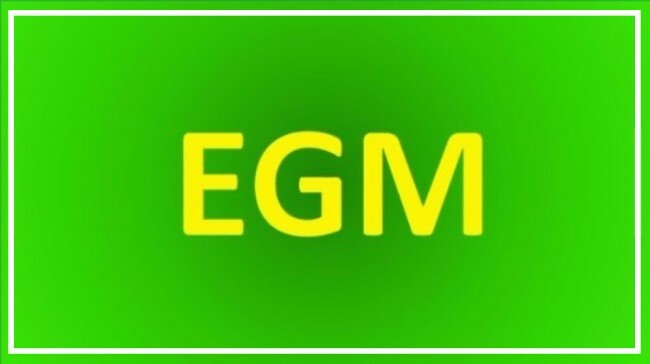 *Please take note that we do not receive any membership registration on the day AGM is held. Membership registration will only be available before and after the day of AGM. In Buddhism, we tend to talk about Loving-Kindness quite often, however, how many of us can practice it all the time? We are usually quite good with those who are close to us, but what about those that are not close to us? This meditation workshop is great for everyone who just wanna share a little love to everyone around us and beyond. We can also take this opportunity to practice more Loving-Kindness. The radiation of loving-kindness would be able to allow us to feel relaxed, blissful and happy for ourselves, our friends, strangers and even our enemies. The workshop will include an introduction to Metta Meditation, guided sessions and discussions about the meditation and how we can integrate it to our regular practice. The mid semester break is approaching! We will be celebrating Mid-Autumn Festival at our patron's monastery, Hwa Tsang Monastery. 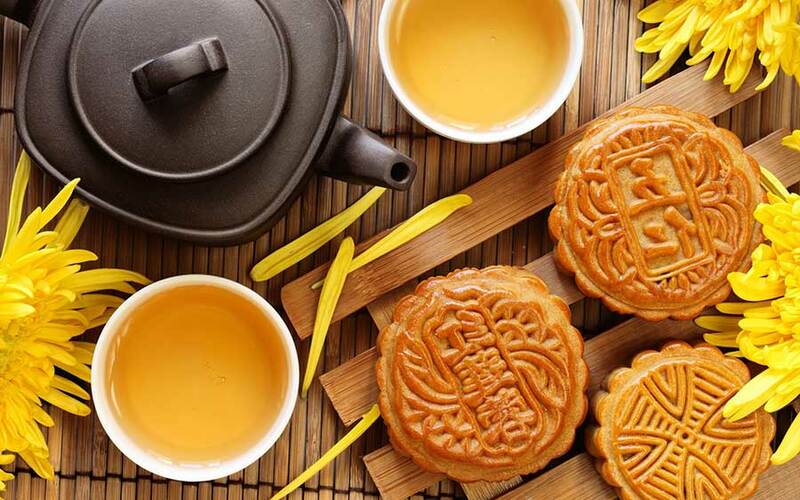 Mid-Autumn Festival is a harvest festival celebrated in Asia. The celebration will be filled with fun performances and delicious mooncakes on the night! The event will be from 6.00pm to 10.00pm. If you haven't visited Hwa Tsang Monastery, this is a great opportunity for you! Hope to see you there! *For those who are willing to carpool, feel free to contact Jing! Please RSVP with the time you are attending. Thank you very much! The 36th term is about to come to an end and we are looking for people to join our next team! Are you interested in the Dhamma? Do you want to learn how to manage events and work in a team? If you are interested come find out more about what Executive Members do! We will be having an Information session this coming Friday, so be sure to come along! Our current team will be happy to give you more information on being an EXCO as well as the particular positions that you are interested in! Bodhi Nite 2016 was a success yet again! We owe it to all of you who have spent countless time and effort to make Bodhi Nite a wonderful night! And to show our appreciation for all your contribution, UNIBUDS would like to cordially invite everyone to our Thank You Dinner. This will be celebrated through a gathering night filled with varieties of cuisines made by our very own Organising Committee members. All you have to do is relax and enjoy the night! We are sure by now most of you must have experienced the Post Bodhi Nite Syndrome (PBNS). So come along to meet your fellow members again and eat away the night through non-stop laughter and joy. If you have been to a few of our activities, you might have heard about "Bodhi Nite" a few times by now. So what is this hype going around in UNIBUDS all about? 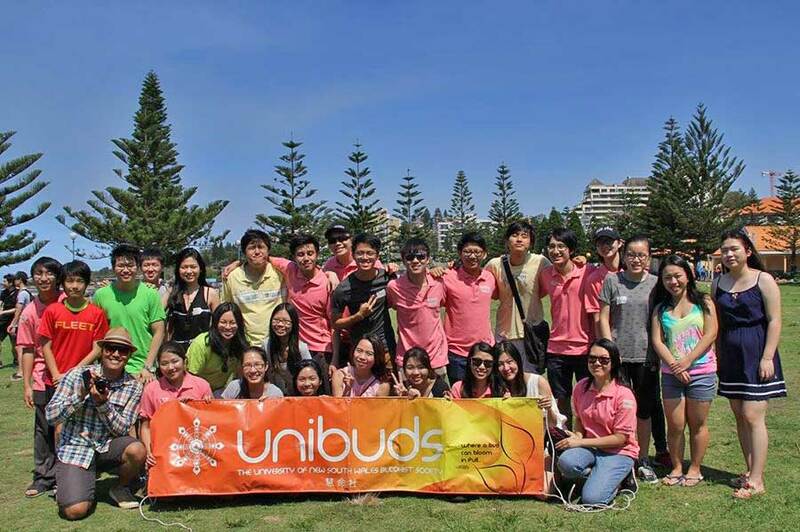 Well, UNIBUDS has grown in the last 35 years and this year, we will be celebrating its 36th birthday! 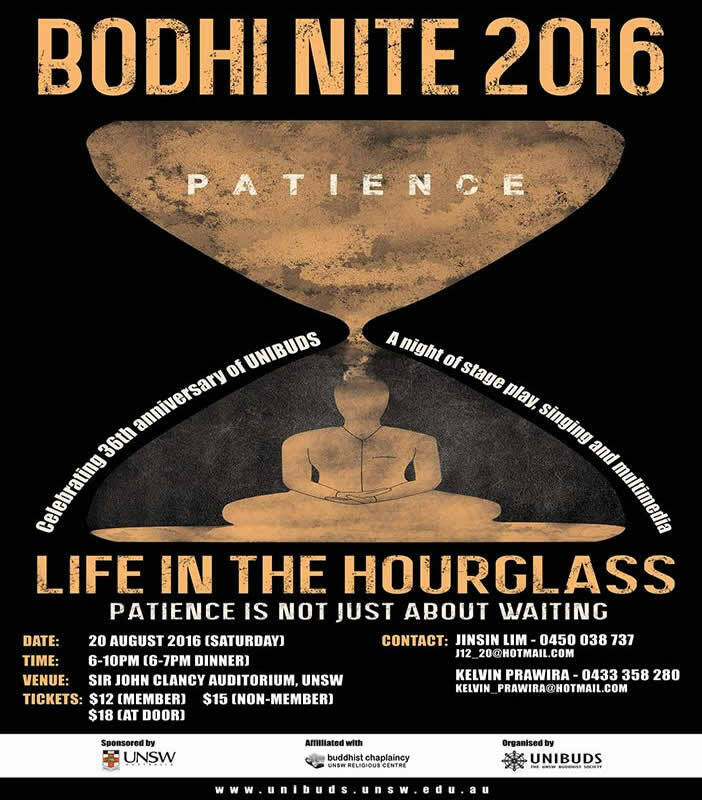 Bodhi Nite is a night where we celebrate UNIBUDS anniversary with a series of amazing performances such as acting, singing, dancing and multimedia presentations that aim to present the teachings of the Buddha in a fun and interesting way. This year, we will be exploring the theme of patience. In this fast-paced life, how often have we brushed aside the need to be patient especially in the face of adversities? When having patience seems to be viewed as giving in or even inefficient in this modern world, do we really have the true understanding of what patience is? Come and discover with us what patience is all about in Buddhism! UNIBUDS will be setting up a stall during Week 3 and Week 4, from Monday to Friday 10am to 4pm in front of the main library. We would like to invite everyone to join us in a very warm welcome to the UNIBUDS family. We will also be selling tickets for Bodhi Nite on the day, so feel free to drop by if you haven't got your ticket yet. If you've already got your ticket, just pop by to have a friendly chat with us. As the saying goes �the more, the merrier!� So drop by our stall and say Hi to our friendly members! The new semester has just started, do you need an extra break? Need more bonding time with new/old friends? 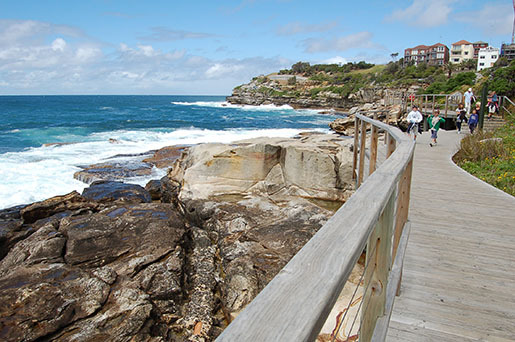 Feel free to join us for a Coastal Walk from Bondi to Coogee! Let's also not forget the opportunity to Catch 'Em All as we have frequent stops for some sight seeing! Meals and transportation fares are not provided, so remember to get cash and Opal Card before you head out! Water bottle, Umbrella (In case of raining), Opal Card and Cash for meal. Are you guys ready for the next semester ? Yes ? No ? Either way, we have prepared �. POTLUCK for you! There will be drinks, old friends, new friends and our besties, Foods ! Lots and various of our besties will be there so everybody is welcomed to come ! For those who would love to show off your cooking skill, please do so ! or you can just show off your eating skills too ! Nevertheless, there will be games just right before the semester is becoming hectic again! So we are looking to seeing you there since the more people coming the merrier ! Just your busfare! Food & entertainment are provided! Semester 2 is just around the corner! 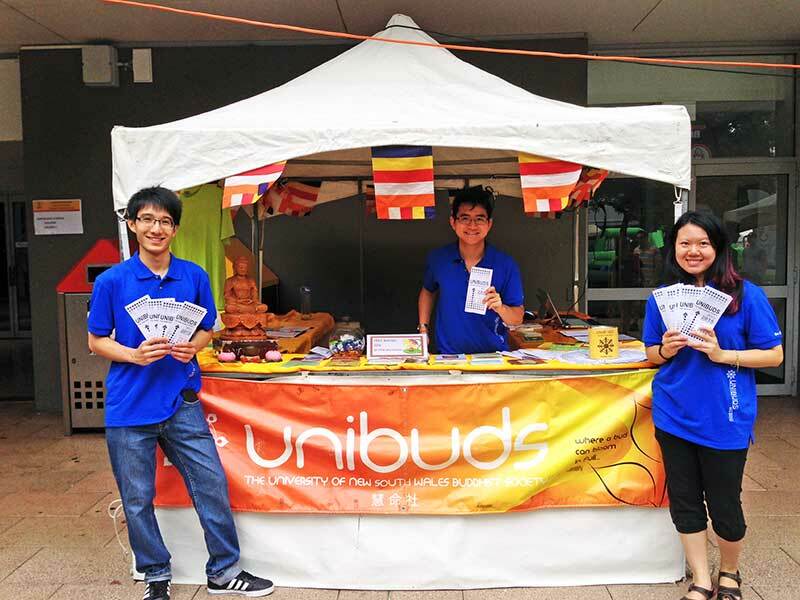 UNIBUDS will be setting up a stall during O-week in front of the main library. 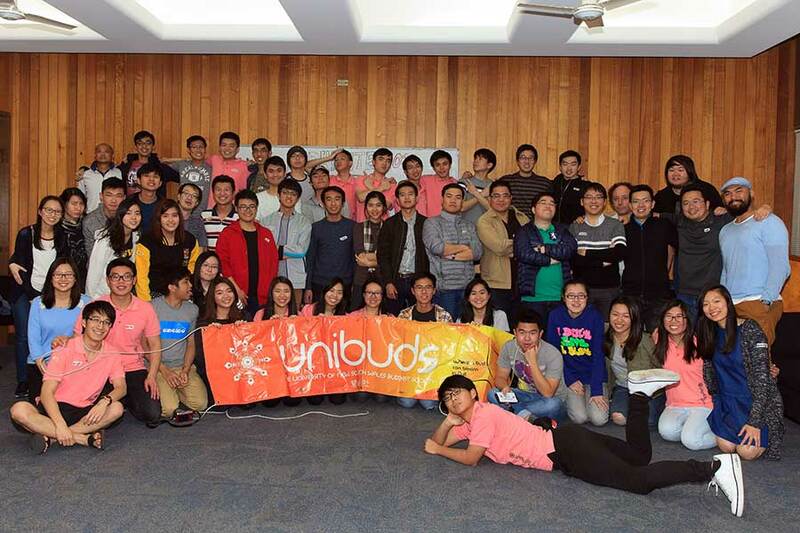 We would like to invite new members to be part of our warm welcome to the UNIBUDS family. 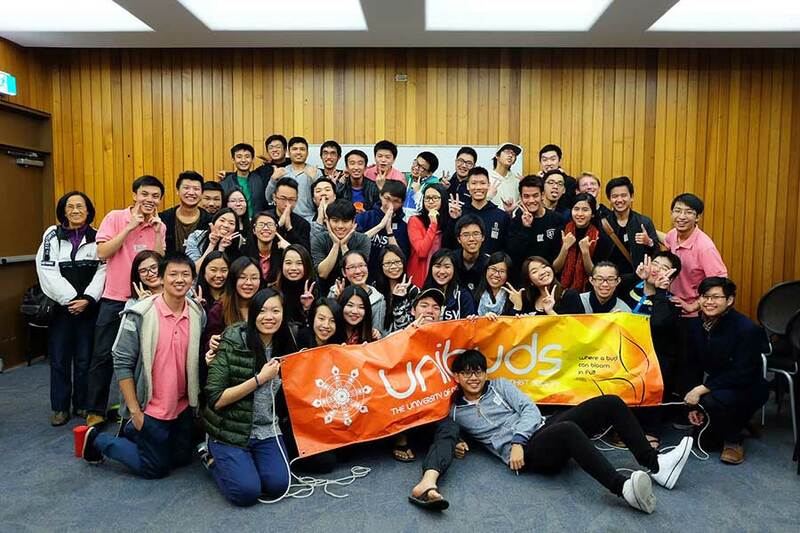 UNIBUDS is a Buddhist society on campus that will fill your university life with a variety of fun and meaningful activities. Our activities range from weekly Dhamma talks and meditation workshops, to potlucks (free food) and a spectacular night of performances. If you've already signed up, just pop by to have a friendly chat with us. 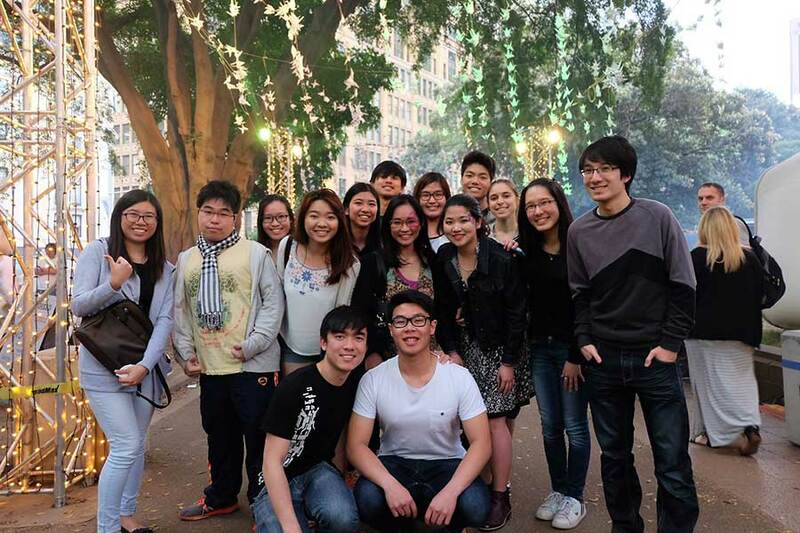 As the saying goes �the more, the merrier!� So drop by our stall and say Hi to our friendly members! UNIBUDS will be holding Winter Retreat during the break at Sunnataram Forest Monastery. Come experience an unforgettable experience of a forest monastic life and explore the fresh air and peacefulness away from a busy city! With the guidance of Phra Mana Viriyarampo, the abbot of Sunnataram and the Buddhist Chaplain for the Sydney 2000 Olypmic and Paralympic games, we will be learning meditation, Tai Chi, listening to the Dhamma, and getting involved in a sketch program. If the weather permits, we will also be bushwalking and having a BONFIRE! What if I'm not a student, UNIBUDS member or full-on Buddhist? The retreat - and Sunnataram itself - is about opening the doors of Buddhism for you to explore,freely. All are welcome! However, due to the limited spaces available, UNIBUDS members are prioritised and a first-come-first-serve basis applies. Please register soon so you don't miss out! As a sign of respect to the Monastery, participants must attend the full retreat for 3 days and 2 nights. For more information on the Monastery, please visit: www.sunnataram.org. Download the registration form here, complete and email it back to wr.unibuds@gmail.com. Please note that we will send you a confirmation email after your application has been processed. Food and accommodation is generously provided by the Monastery, donations to theMonastery are most welcome. The cost for a one way train ticket is approximately $8.00 (full) or $4.00 (concession). Feeling stressed with upcoming final exam? Do not fret! We'll be hosting a tour for Vivid Sydney to help you release your tension! We'll be touring around the amazing sites of The Rocks, Circular Quay, and ferry ride along Sydney's wonderful harbour (Darling Harbour to Circular Quay, ferry rides are paid using Opal Card) You're most welcome to join us! Please do bring your buddies needing de-stress as well! See you soon! What to bring: Opal card, cash for expenses, clothing to keep you warm. As we are nearing the end of the semester, with most assignments and reports done and just left with our final exams, how can we best prepare for it? In this modern 21st Century, our minds are trained from young to capture as many information as we can at the same time. Multitasking seemed to be a must in our daily life which makes our life and mind full and busy. We sometimes enter into auto-pilot mode and not realised the things we are doing, like for example, when you woke up this morning, which foot touched the ground first? Or, how was the ride to university this morning? We usually just whoosh through our daily task and is not being mindful. So, what is this mindfulness? Mindfulness is really about getting back in touch with our mind, body and senses. It is being aware of the thoughts and sensations that arise from internal and external factors, and being in the present moment. Not worrying about the future or contemplating on the pass. It is about being able to focus on the things that we are doing now and not anything else. So, it would really help us to focus on studying for our exams! Vesak Day is coming up and we would like to invite you to join us in celebrating this auspicious day! 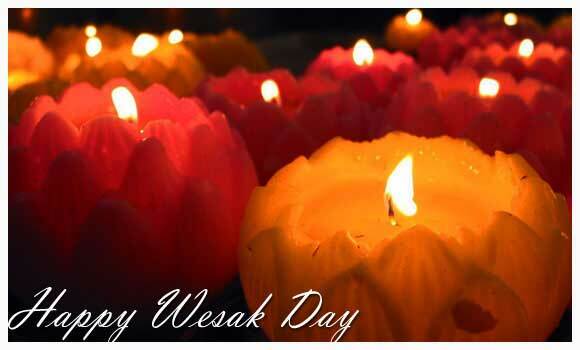 First of all, what is Vesak Day? Vesak Day is the commemoration of the Buddha's birth and the two most important stages of the Buddha�s life � his enlightenment (Nibanna) and death (Paranibanna). It is a day to reflect back on the Buddha�s practice and teaching that has been passed on over the course of time. 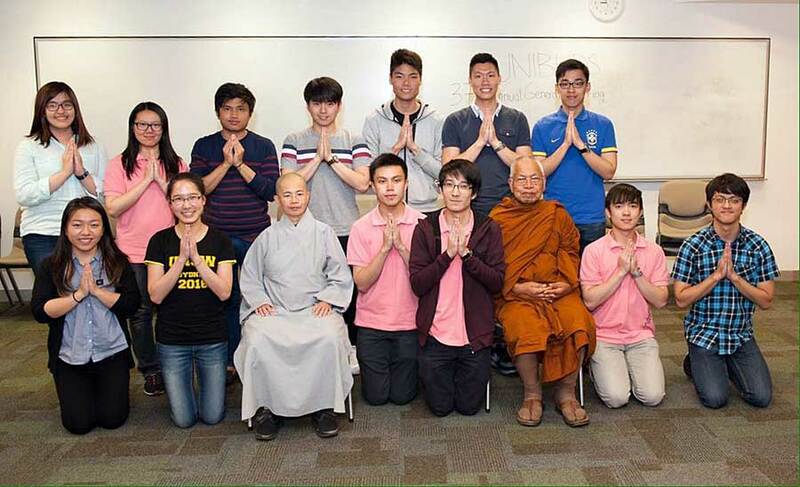 This year UNIBUDS will be celebrating the ceremony in the Theravada tradition. There will be chanting of Suttas and short Dhamma talks. Our schedule will also include bathing the Buddha statue to signify purification of the mind. As quoted in the Heart Sutra, by �Taking refuge in the Buddha, we learn to transform anger into compassion; taking refuge in the Dharma, we learn to transform delusion into wisdom�. It is through the teachings of the Buddha that we are able grow and work towards our goals. Vesak is a significant event that should not be missed! We look forward to seeing everyone there! Are you are you interested in contributing to UNIBUDS and maybe stand a chance to feature your contribution in the society? UNIBUDS is currently looking for anyone with passion in designing to come up with a standing banner design. The standing banner designs will be judged by our fellow Excos and if your design fits our criteria, it will be featured on our standing banner, which will be used in various UNIBUDS events. Did you enjoy the previous potluck? Or did you missed it and would like to join us for a very delicious dinner? 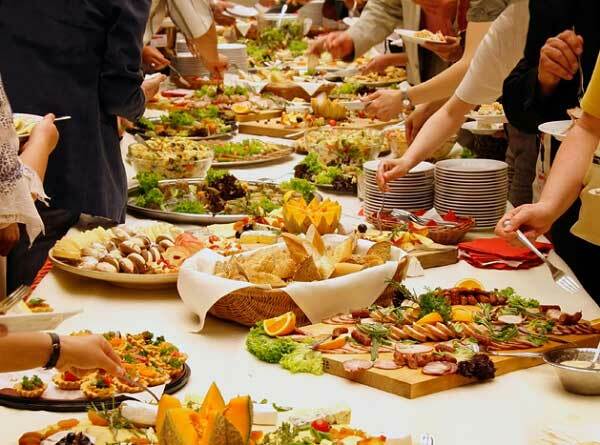 UNIBUDS is holding another round of potluck and would like to invite you to join us (Psst psst, this is the time where you don�t have to eat alone or struggle to think of what's for dinner). Besides savouring different kind of food and having fun playing games, we will also be telling you a bit more about the ever-exciting Bodhi Nite, which is a night where we celebrate UNIBUDS anniversary with interesting performances! Regardless of whether you want to show off your cooking or if you are not a cooking person, you are still welcome. We hope to have a variety of food for everyone to enjoy so do let us know if you are planning to bring a dish to share with everyone. Bring your friends along, the more people the better the atmosphere! Have you heard so much about meditation but not sure how should you start? Have you wondered why meditation is good? Have you wondered what benefits can meditation bring? We are pleased to inform you that UNIBUDS will be having it's first Meditation Workshop and hopefully it will provide you with some of the answers to the above questions! For this first workshop of the year we are going to learn about Breathing Meditation. It is great for beginners and those who wish to integrate meditation into their daily practice. Breathing is part of our life, we breathe no matter what we do and where we go. We can learn to develop serenity and stillness of the mind through focusing on our breath and letting go of everything else. This workshop will include an introduction to breathing meditation, guided sessions and discussions about meditation. The teacher for this workshop is an inspiring and encouraging example of how meditation has shaped one's lifestyle. Songkran, also known as Thailand Water Festival, is the most important festival for Thai people which is celebrated as the traditional Thai New Year. Thai people sprinkle water to show respect to the elders including family members, friends, neighbours, and monks. Here, we will be having a series of activities, such as chanting, blessing, short sermon, fund raising Food Fete, South East Asian traditional dances and more! We will also be volunteering with the packing up and helping out the monastery. Remember to register before 10th April by contacting or emailing Jinq below. Hope to see you for Songkran! We would like to inform everyone that UNIBUDS will be holding a 36th Extraordinary General Meeting (EGM) to fill up the Internal Vice President position. We hereby invite you to this meaningful event and show your support to UNIBUDS. You can choose to run for the Internal Vice President or just come and cheer on those who will be nominated. It�s your chance to exercise your voting rights, so do come and join us! Please click here for: detail on Internal Vice President position and nomination form. There will be a nomination box available outside UNIBUDS Library for you to submit your nomination(s) from 12am � 5pm on weekdays (except during Mid-Semester Break). If you wish to run for the Internal Vice President position, you must be an Ordinary member of UNIBUDS. Any queries, do not hesitate to contact us. Hope to see you there! What are your plans for the Easter Break? Want to explore some other parts of Sydney? Want to get some Meditation experience? Come join us for UNIBUDS One Day Meditation Retreat! 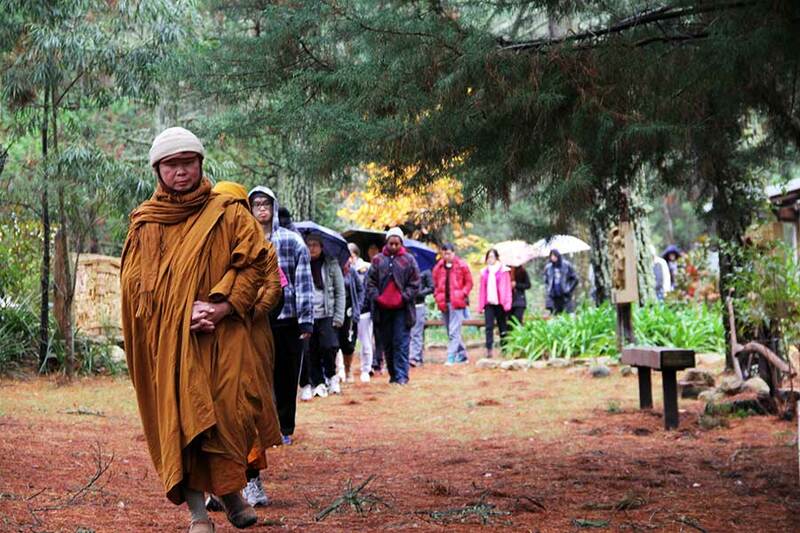 Have a break away from the bustling city of Sydney and spend a calm and mindful day learning from Phra Mana at the beautiful and peaceful Sunnataram Forest Monastery in Bundanoon. If you would like to come along, please register using the form provided by clicking here and sending it to meditation.unibuds@gmail.com. Please type in your phone number according to this format (0123 456 789). Registration will be closed on Sunday 27th March. Always wanted to be an Olympic Champion but never had the chance? 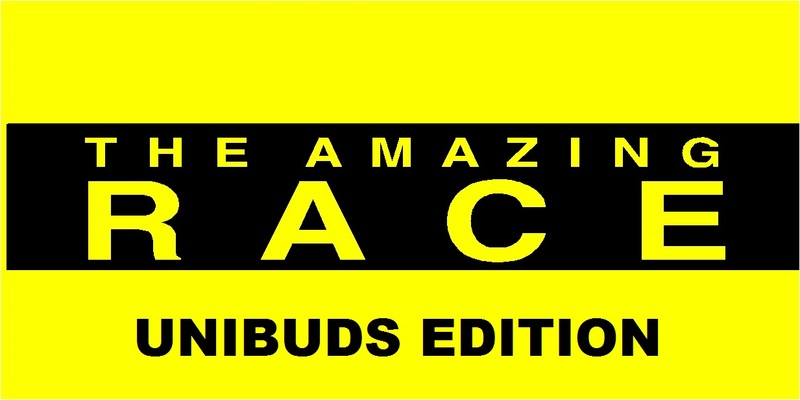 Well then, this is your time to shine, as you unleash your inner skills and awesomeness and have an amazing day of fun at our UNIBUDS� Amazing Race!! Amazing Race is a series of games played in teams, where you will challenge and conquer all the game stations with your team mates! 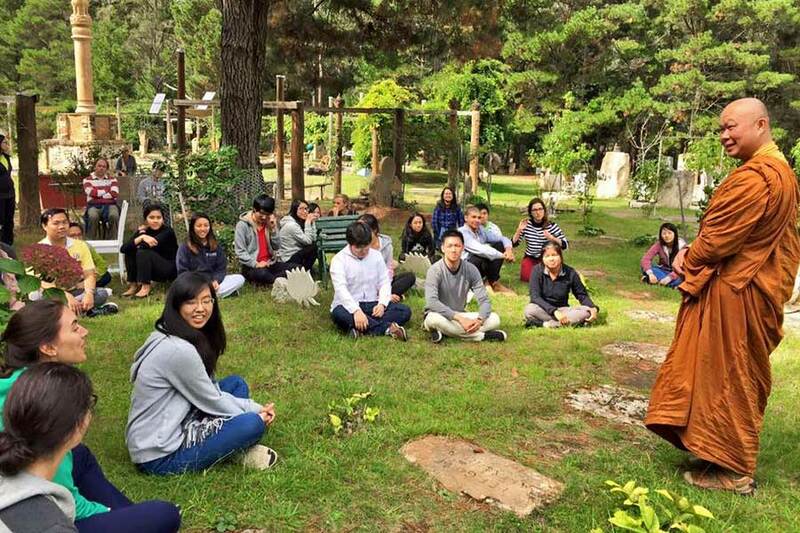 This is a great chance for you to learn the Dhamma in an interesting way, as well as to start new friendships that may very well last for the rest of your lives. What to wear: Comfortable clothing and sport shoes. What to bring: Water bottle. Hello Unibuddies! Are you ready to have fun with your fellow Unibuddies? 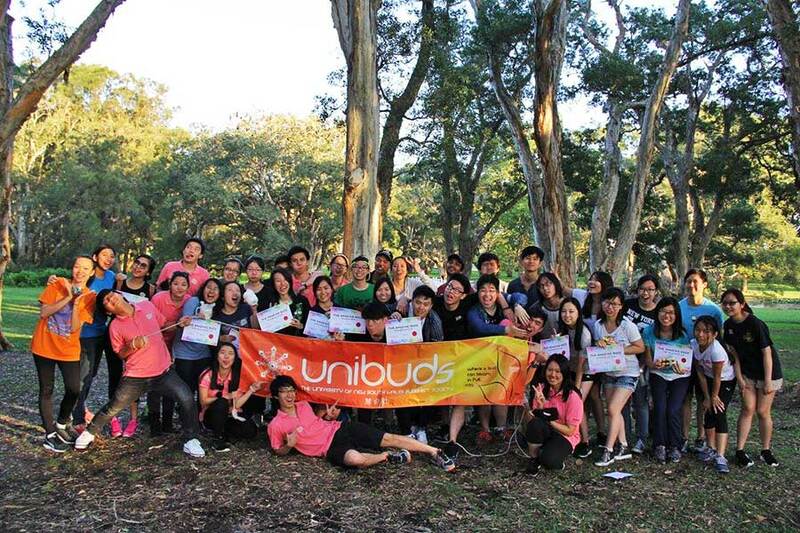 Come along to UNIBUDS' O-Picnic where you can eat, drink, play and eat again! O-Picnic presents a great chance to make more friends while having fun activities such as games and BBQ. Wide variety of FREE food will be provided. Food & Entertainment are provided! Please wear or bring slippers as we might be having activities near the beach. Please gather at UNSW main walkway at 9.30am if you would like the venue guiders to show you the way. In order for us to better cater to everyone's needs, please register your name, contact number, email address and whether you will make your own way there or meet at Uni with the organisers. O-Week is just around the corner! UNIBUDS will be setting up a stall to invite new members and also renew membership for those who have been around with us. Before Semester 1 officially starts, why not look out for our stall and hang around with us. It will be such great fun greeting new members and keeping in touch with the other members! We will also be having a short meditation workshop on Tuesday (23/2/2016) to expose members to the different types of meditation and also the meditation session will be guided by a Venerable. Hope to see you there! Once O-Week is over, we are all geared up for O-Picnic! For those of you who are not familiar with what O-Picnic is all about, why not come by to Coogee Beach on the 5th of March 2016 to savour delicious food and have great fun with new friends! On a side note, I would like to inform everyone that our Internal Vice President (Hong Foo Moo) has submitted his resignation letter because he has to leave Australia. Hence, you will be hearing the updates of UNIBUDS from me in the meantime. We will keep you updated about this issue. 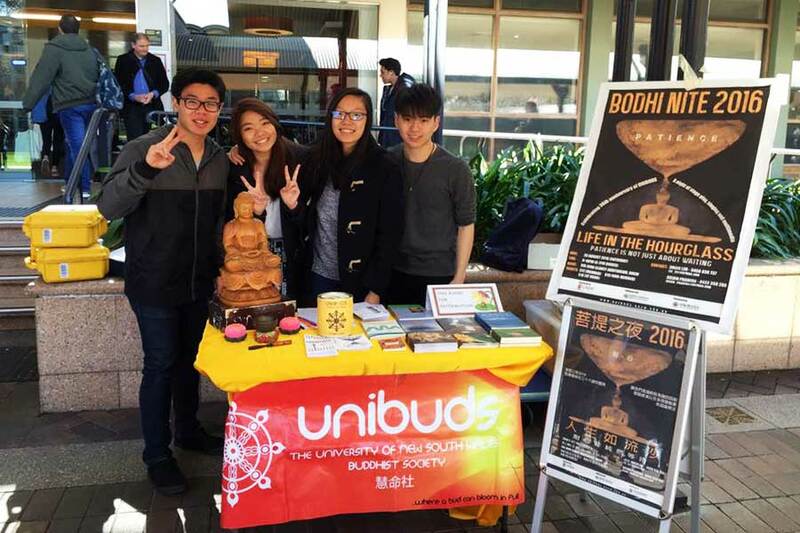 UNIBUDS is the society to join to learn more about Buddhism and practise it too! Not only that, throughout the year, our society is jam packed full of awesome activities to be a part of. From Dhamma talks and meditation workshops to potlucks (free food) and a spectacular one-night-only performance show! So, don't miss out on your chance to become a part of our society today! If you were a member previously, our membership does only last one year so don't forget to renew your membership. If you've already signed up, just pop by to have a friendly chat with us. 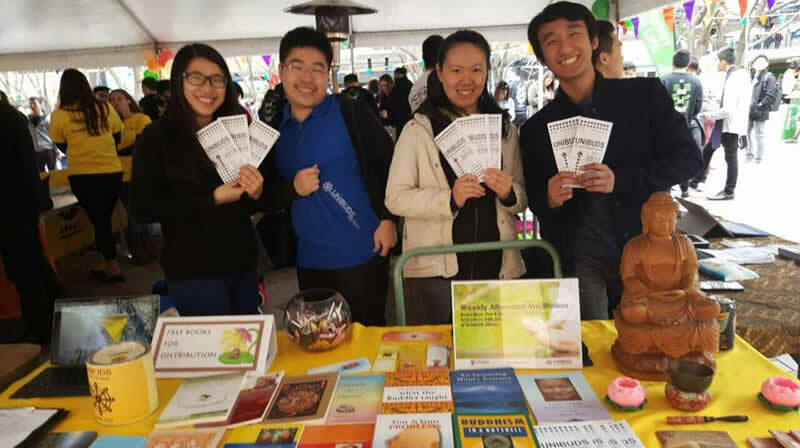 It is always fun to have a group of friends managing the O-Week stall together, if you have the time, why not join in the fun of greeting new people? Just contact us through the contact details below! Meditation is such an integral part of Buddhism that we've decided to organise a "Introduction to Meditation" workshop to provide you a chance to experience what meditation is all about! We will be having a short introduction about who we are and the different types of meditation. On top of that, there will be a guided meditation by a Venerable and also Q&A session to promote further understanding or clear your doubts about meditation. Do drop by after wandering through the busy Uni walkways and O-Week stalls to experience meditation for yourself!